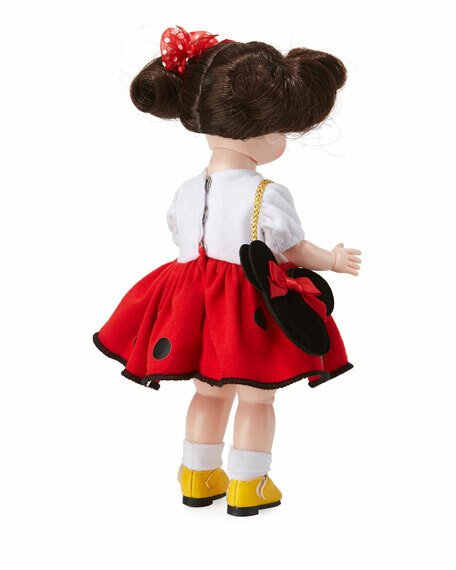 Wendy loves Minnie Mouse and her dots lots and lots! 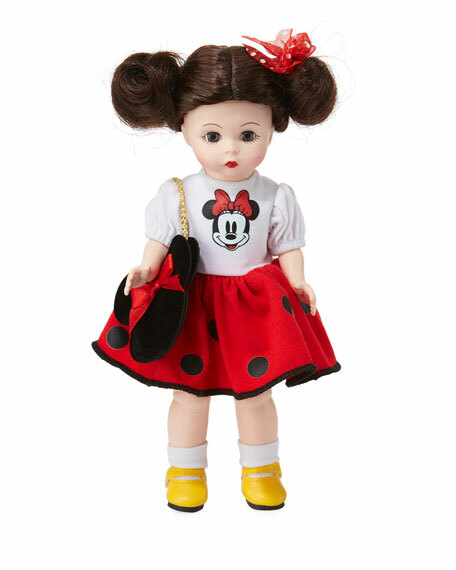 Wearing a Minnie Mouse dress that has a red skirt with black dots, as well as yellow shoes, this 8" Wendy rocks the dots carrying her black mini Minnie purse by its gold chain. Minnie Mouse's trademark bow accents Wendy's ear-like buns. Madame Alexander Dolls "Rock the Dots" Wendy doll. Minnie Mouse polka-dot dress and velour bag. Fair skin tone and dark brunette synthetic hair. For in-store inquiries, use sku #2448159.